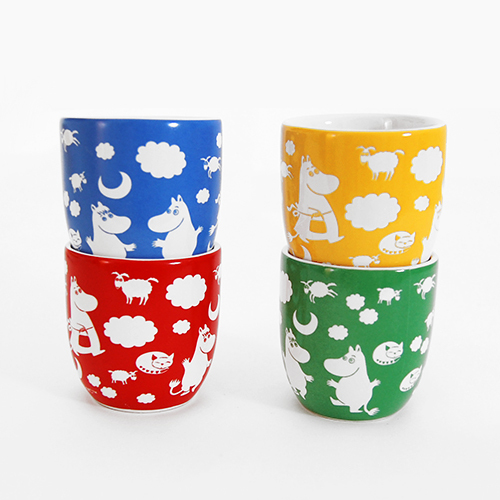 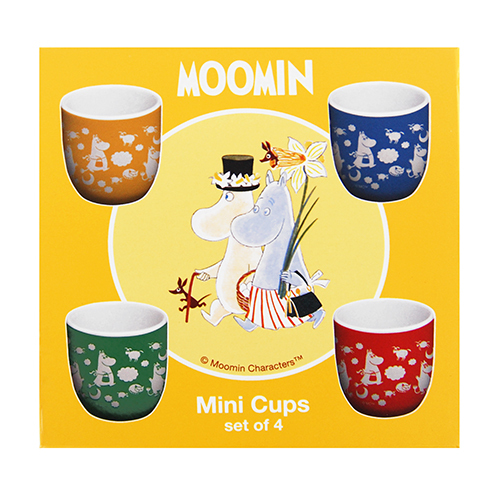 More about Moomin Egg Cup Set Finland's favorite family is featured on these cute and colorful little cups: The Moomins, of course! 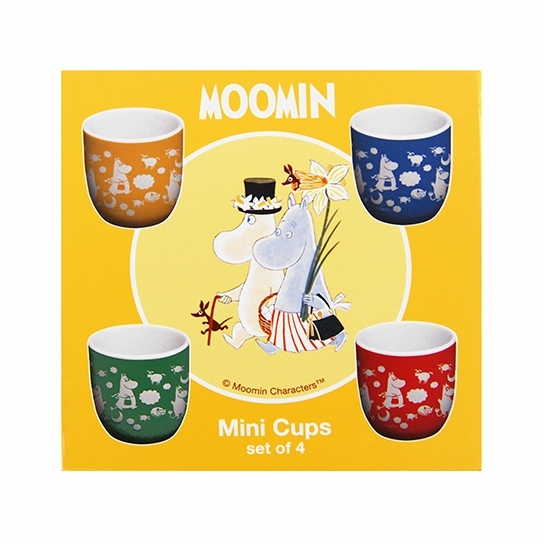 A family of four can enjoy a breakfast of soft boiled eggs together with this charming set. 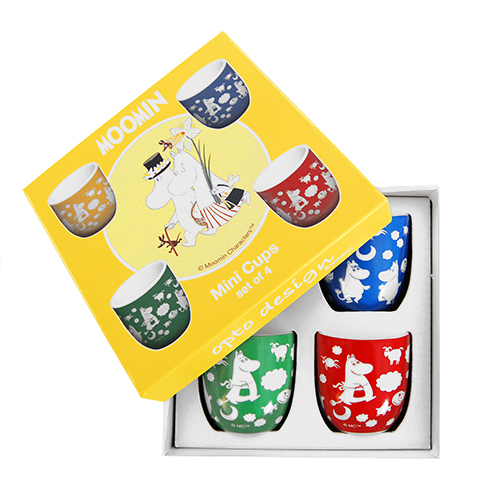 Yellow, blue, green and red exteriors are adorned with illustrations of Tove Jansson's characters frolicking among moons, clouds, sheep and sleeping kitties. 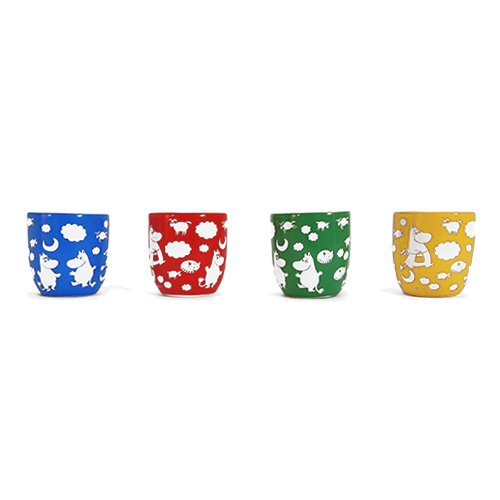 When not in use, you'll want to line these up on a shelf for all to see.